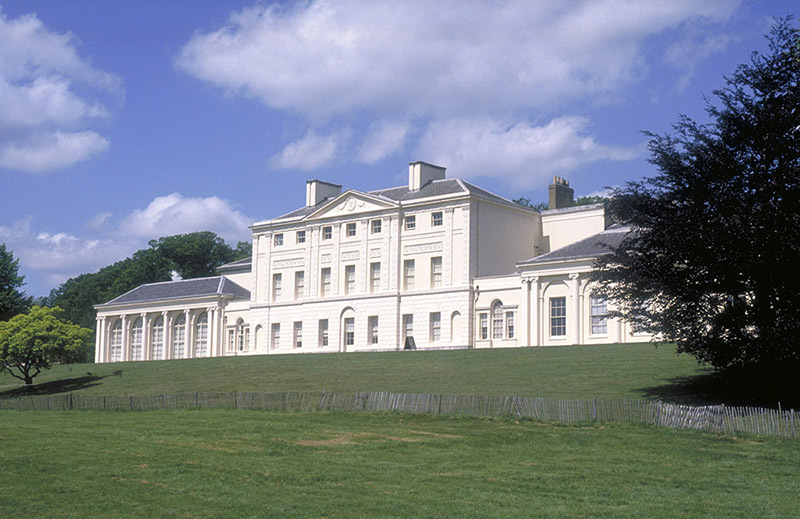 Home to a wealth of masterpieces by Rembrandt, Turner, Reynolds and Gainsborough, Kenwood House is an art lover’s paradise. Edward Cecil Guinness, first Earl of Iveagh, bought the property in 1925 and upon his death in 1927, bequeathed the entire estate and part of his superb collection of paintings to the nation. In addition to the Iveagh Bequest, Kenwood also boasts the Suffolk Collection of Elizabethan and Stuart portraits by William Larkin, Van Dyck and Levy, amongst a host of rare furnishings and family items. After a fine morning of admiring the lavish interiors, why not take a stroll through the tranquil parkland surrounding the house. Enjoy spectacular panoramic views of London before exploring the woodland paths and lakeside walks the stunning grounds have to offer. Explore the ‘most Welsh of Welsh industries’ on the flanks on Snowdon at Dinorwig Quarry, the second largest slate quarry in the world up until its closure in 1969. Presented in much the same state as when it was a working quarry, it seems the workers have only just downed tools after a hard day’s work. Visitors can enjoy a fascinating tour of the workshops, iron and brass foundry, forges and loco shed, gaining an insight into not only the slate mining processes, but the lives and stories of those who worked there. With exciting demonstrations of slate splitting, as well as a close up look at the largest working waterwheel in mainland Britain, and four quarrymen’s homes furnished to reflect different time periods, there is plenty to see, do and learn about. All aboard! Take a journey through 300 years of railway history at the world’s largest railway museum. See for yourself how Stephenson’s Rocket would have looked and worked, with a marvellous replica of the masterpiece and, at the other end of the scale, take a seat on the futuristic Japanese Bullet train – the only example outside of Japan. Amongst over a million other items exhibited you can also step aboard and discover why the Chinese locomotive is so big, and enjoy a seat in the regal splendour of Queen Victoria’s favourite carriage. The museum is also home to the permanent exhibition ‘The Flying Scotsman Story’, telling the tale of the nation’s favourite locomotive – you may even catch a glimpse of her in the workshop undergoing restoration! Hunt for fossils along Lulworth’s stunning coastline, a World Heritage Site and part of the Jurassic Coast. Before embarking on a search for dinosaurs, learn all about the geology of the Earth at the Heritage Centre. Taking centre stage amongst the constantly reviewed and updated exhibitions is the rock display, leading you through millions of years of the Earth’s history. In addition there are displays of social history from the Stone Age, Ice age and Bronze Age. The centre provides an ideal base to begin your coastal walk – head west and follow the trail to Durdle Dore, a magnificent rock arch in the sea, or take the route east and explore the Fossil Forest – evidence of the trees that existed millions of years ago. (The Fossil Forest is within the Army Firing Range so only open most weekends and school holidays – check before hand to avoid disappointment. Spanning an impressive 414m across the scenic Avon Gorge, this Grade I-listed, awe-inspiring feat of design and engineering has attracted visitors from around the world for nearly 150 years. Originally designed in the 19th century for light horse-drawn traffic, this extraordinary structure meets the demands of 21st-century commuters, with over 11,000 crossings each day. A competition for the bridge’s design held in 1830 saw 24-year-old Isambard Kingdom Brunel’s plans commissioned, and building began in 1831. After many political and financial difficulties the project was abandoned, but was eventually completed in 1864 as a memorial to Brunel who died in 1859. Take a break from the sights and sounds of the Scotland’s capital city and delve into the country’s history. With a wide range of exhibits dating from millions of years ago, right up to the 21st century, this museum has something for everyone and makes for hours of educational and interesting entertainment. The main exhibits focus on the story of Scotland, from ancient times with displays of Viking brooches and medieval carvings, through to life in the 20th century, including personal stories of the industries, wars and politics that shaped this diverse nation. After learning all about Scotland’s rich history, have some fun in the interactive science and technology gallery where you can design a robot, test drive a Formula One car or even blast into outer space. A magnificent 18th-century house set in the middle of the beautiful Heaton Park, Heaton Hall is one of the finest neo-classical houses in the country. Remodeled by James Wyatt for Sir Thomas Egerton in 1772, to become a fashionable home, the house was the centre of a lively social scene during the 19th-century, playing host to the Duke of Wellington, Disraeli and Tom Thumb among other famous visitors. 1902 saw the Park and buildings sold to Manchester Corporation for £230,000 and the hall was considered of little architectural or historical significance – the Saloon was initially used as a tea-room. Now rightfully Grade I-listed, the principal rooms have been gradually restored and furnished to reflect the style of Heaton Hall’s former glory days. Originally a dominating timber fortresses built by the Normans in 1100 AD, Stafford Castle was rebuilt in stone by order of the 1st Earl of Stafford in 1347, only to be demolished during the English Civil War. Using the same foundations the keep was rebuilt once again to a magnificent four-storey structure by the Jerningham family in the early 19th-century. The castle has undergone recent renovation work and is considered one of the countries best examples of Norman earthworks. In addition to a walk around the 26-acre site, there is an interactive visitors’ centre, in the layout of a Norman guard house, with hands on exhibits of arms, armour and costumes and displays of archaeological discoveries. Britain’s largest collection of Grade I-listed buildings is home to a multitude of Liverpool’s most popular attractions. The historic dock was first opened by Prince Albert in 1846 and was the first enclosed, non-combustible dock warehouse system in the world. It is also the first structure in Britain to be built entirely of cast iron, brick and stone. Closed in the 1970’s after falling largely redundant, the Albert Dock has undergone extensive regeneration to become a lively hub of culture, cuisine and shopping. After a look around the dock, part of the Liverpool Maritime Mercantile World Heritage site, spend the rest of the day visiting Tate Liverpool, the Maritime Museum and the International Museum of Slavery, all without costing a penny. Now a part of the Natural History Museum, since being gifted by the Rothschild family in 1937, Tring began as the private passion of prolific collector of natural history, Lionel Walter Rothschild. Dedicating his life to the study of zoology, Walter dreamed of opening his own museum at the young age of seven, and soon amassed the largest Natural History collection to be owned by just one man. Packed to the rafters with fine examples of 19th-century taxidermy, visitors can come face to face with the weird and wonderful animals on display, including a collection of cassowaries – flightless birds that Walter bred at Tring Park and are officially the most dangerous bird in the world, capable of disemboweling a man with a single kick.